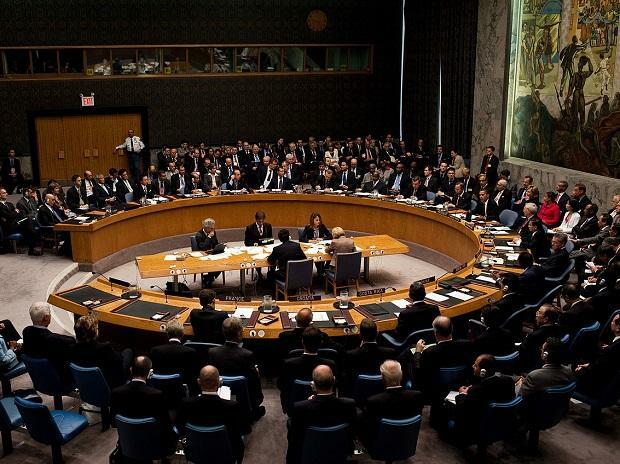 India has said the UN General Assembly must take lead in finding solutions to the challenges faced by the world, slamming the Security Council for "progressively undermining" the authority of the 193-member global body. India's Deputy Permanent Representative K Nagaraj Naidu said on Monday the growing number of complex challenges facing the world, like those related to peace and security, climate change and sustainable development that cut across boundaries and regions can be addressed only through a genuine multilateral and participative process. "The General Assembly, which is the closest institution to a world parliament, must take the lead in setting the global agenda and in restoring the centrality of the UN in formulating multilateral approaches to resolving transnational issues," he said. "...The prerogatives and authority of the General Assembly have been progressively undermined by the Security Council through its frequent attempts to redefine its scope of competence through wider and permissive interpretations of what constitutes a threat to international peace and security and by engaging in discussions on issues that clearly fall within the purview of the General Assembly," he said. "A part of the blame for this situation must also be taken by the General Assembly and its member states for focusing on procedures rather than addressing the substantive issues," he said in a statement. "A revitalised General Assembly must focus on substantive deliberations rather than spending considerable time and resources on procedural issues," Naidu said. India has criticised the UN Security Council's veto-wielding members in the past for obstructing the designation of terrorists without giving any explanation, apparently hitting out at China for repeatedly blocking its bid to list Pakistan-based Jaish-e-Mohammed chief Masood Azhar as a global terrorist.